Photographs shed light on many aspects of our external appearance -- weird shadows, stray hairs, awkward smiles, lingering food particles between your front teeth. And, in very particular cases, they can illuminate something more. Something suspended between the internal and external, the visible and the invisible, the hippie-dippie and the profoundly mystical. Yes, we're talking about auras. 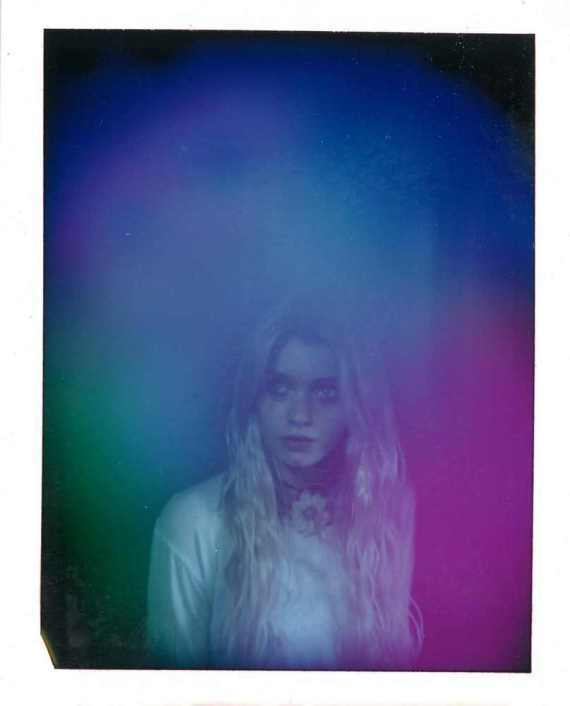 Photographer Christina Lonsdale, also known as Radiant Human, captures auras on camera in all their hazy, multicolored glory. "An aura is technically an electromagnetic field that surrounds the body," she explained to The Huffington Post. This field appears, in photographic form, like a glowing cloud, a lo-fi rainbow, an Instagram filter catered directly to your innermost essence. 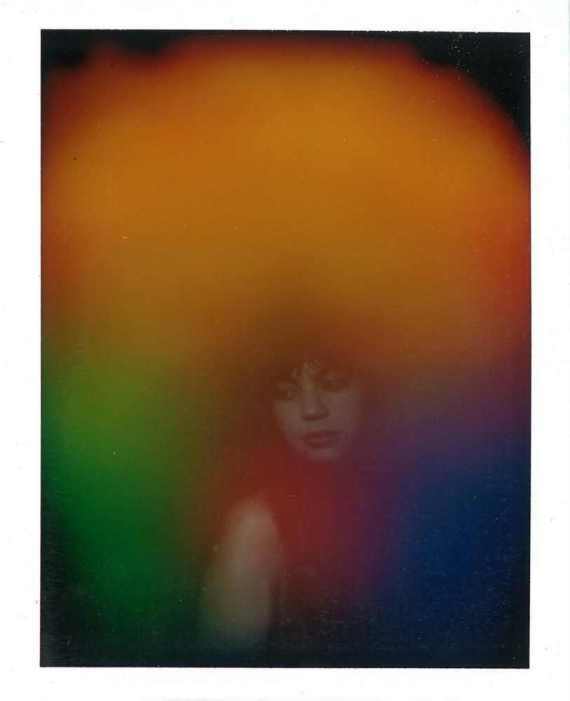 Lonsdale captures her subjects' auras via a hand-built device from the 1970s, originally invented by a man named Guy Coggins. The Aura Camera allegedly uses electromagnetic hand sensors that translate your vibrational frequency (or bio feedback) into a color, and then, with a second exposure, displays that color on an instant polaroid photo. "I really want to create a platform for people to experience themselves in a new way," Lonsdale proclaimed. "It kind of reminded me of space exploration in the '70s." Lonsdale purchased the camera from Coggins, who told her there are only 100 in existence. The machine lives inside a collapsable black dome, ready for travel. "I have my safe space with me wherever I go," she explains. Lonsdale's primary sanctuary, where she conducts aura readings for clients, is speckled with rainbow books dating back to the 19th century, filled with clairvoyant artworks, paths to immortality and color decoders for aura reading. Although Lonsdale's craft fits right in at trendy "lifestyle celebrations" like Topanga Canyon's Mercado Sagrado, Lonsdale's stuff goes way back. 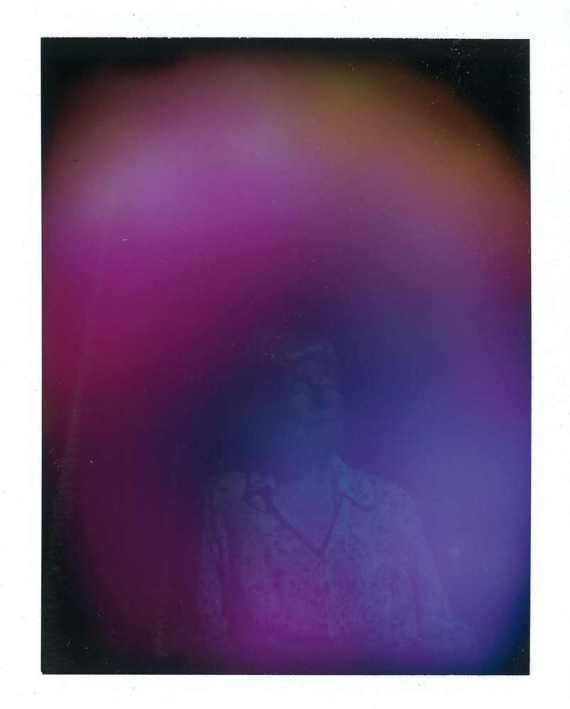 But how does one get into the business of aura photography, you ask? For Lonsdale, the unusual path seemed to be in her blood. "My mom is a visual painter who paints auras and spirits and goddesses she sees in her meditation. And my father founded two communes back in the '60s. It's been a part of my culture for a while, bringing me to this point where I want to do this stuff in a creative way and provide people an atmosphere to see what they're putting out into the world." Lonsdale's readings are typically five to 10 minutes long, consisting of both the snapshot itself and a condensed reading on the possible interpretations associated with your aura color. First, the subject places her hands on a silver sensor, which is connected through cables to the camera. The model sits still for 10 seconds as the camera snaps two shots. You can only hope that if you happen to blink, it's while your ambience is being photographed. Then, she tells you what it all means. "That's where it gets into an interesting avenue," she explains. "We're dealing with colors here. If you want to derive meaning from color, you're opening a pretty interesting box. I've used color theory in my readings. Usually what I do is share all the research I've done for each particular color. It's really up to each subject and what she wants to take from it. I provide a kind of color decoder; a boiled down, abbreviated version of what a typical reading is." The color hovering on top of your image, Lonsdale explains, signifies your consciousness. The lower left portion indicates your inner qualities and the right side, what you portray to the outside world. Lonsdale hands out a handy color decoder that spells out some of the characteristics -- purple is equated with playfulness and magic while yellow denotes relaxation, optimism and intellectualism. Orange and tan represent logical and entrepreneurial tendencies while white hints at spiritual clarity. "When some people get red auras they get worried like they did something wrong, like they’re not a good person unless they get this perfect violet white. But let me tell you something: color is a frequency, its like a musical note. Just because one note is on the 'bottom' of a keyboard doesn’t make it less valuable. The cool thing about red is that it's always strong no matter what. It’s an access point to what drives us physically. Red was the first color we defined in our linguistic history and also the first color we painted with in the caves so long ago. Because of this, red can be considered a birth color; new beginnings. With new change comes strength and courage, and not without some challenge, as all you mothers well know. There is passion and desire to see you through, standing on a foundation of practicality and logic. This is a physical and energetic color that is full of powerful sensations, and when you have low muddy red, that just means you probably have a hangover." Lonsdale explained that the constancy of an aura ranges from person to person -- some people are more fluid and dynamic depending on their surroundings, while others remain relatively stagnant. She noted that earlier in the day a mother and her young daughter both emitted the same aura, which is also very constant between married couples. Either that, or they're each other's complete opposite. Yes, Lonsdale's artistic investigation is not for skeptics, but for those willing to indulge in a little new age mysticism, it offers the opportunity to know yourself in a whole new way. The experience, somewhere between a psychic reading and a portrait sitting, allows you to examine yourself as not just a tired person with a bad hair day, but a truly radiant human. Do you want to visualize your vibes in a chromatic wash of hazy shades? See Lonsdale's upcoming tour dates here and, in the meantime, see some of Lonsdale's dreamy portraits below.